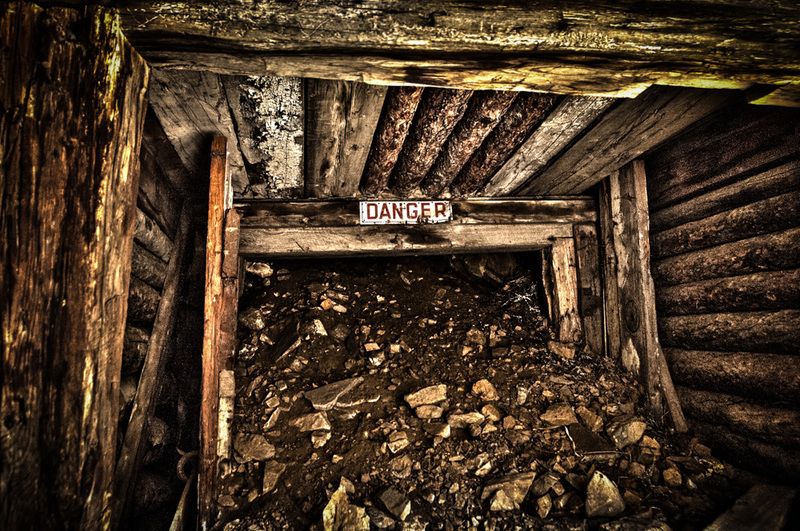 A collapsed mine shaft blocks the way into an abandoned gold mine and dashes any hopes of getting underground photos. The “Danger” sign seems to have prophetical nature in this instance. The “Danger” sign is indeed the main element of the photo. Looks like there may be some room under the door header for you to slip under and get some shots but there could be some danger involved in that. Cool shot! I would like permission to use this in my next nonfiction book as a blocked mine entrance is central to the opening chapter of this WW II true story.